On April 16, 2018, six courageous runners will be competing in the 2018 Boston Marathon through the John Hancock Nonprofit Marathon Program to raise awareness and funds for One Summit’s mission and programs. We are incredibly grateful for their time, effort and determination and are excited to share their motivations and inspirations with One Summit's community. 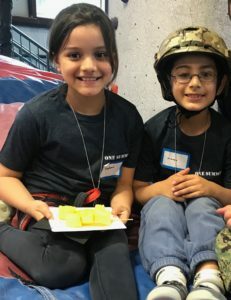 Ever since I was introduced to One Summit’s mission of empowering childhood cancer patients to achieve growth through conquering adversity, I could not help but be drawn into their fight. I wanted to serve them in whatever way possible. The Boston Marathon presented me with the opportunity to use my abilities in order to raise as much money as possible for One Summit. In addition to raising as much money as I possibly can, I hope to develop a lasting relationship with Stephanie and Matteo. After everything they have been through, they still love life and bring joy to all those around them. I feel so honored to be able to run the Boston Marathon in their name. Running the Boston Marathon is a very cool opportunity to represent One Summit, an organization whose mission I really believe in. However, it really isn't about the marathon at all. It is about the opportunity to spend some time with Yan and Jose and hopefully give them a day they can look back on and smile. The first time I heard One Summit’s mission and saw their video, I knew I wanted to support however I could. 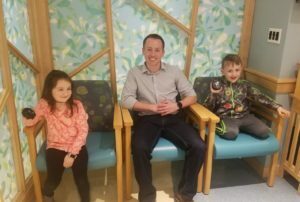 I don't like unfair fights, and this mission is an extraordinary way to put more support behind little warriors in need. I am running on behalf of the Tierney family and the incredible little warriors, Chloe and Charlie. Chloe's resilience throughout her childhood, battling cancer from the day she was born and ultimately conquering it is incredibly inspiring! And her brother Charlie’s love and enthusiasm reminds me to keep family at the forefront of everything I do. A marathon does not compare to everything the Tierney’s have been through and I know their story will be in my mind throughout the race. My main goal for the marathon is to be a solid representation of One Summit and to make my little warriors proud with my performance, both in terms of fundraising and running. Their stories of strength and resilience are doing so much more for me than I ever could for them. I am honored to have this opportunity. I believe in the impact One Summit makes on the families it serves. At first, I was slightly skeptical about what I could provide to a family facing such a formidable battle. 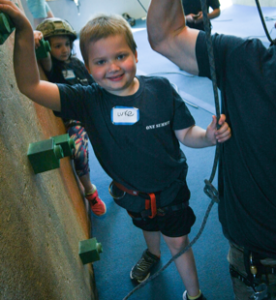 But my experiences at Climb for Courage have proven me so wrong. 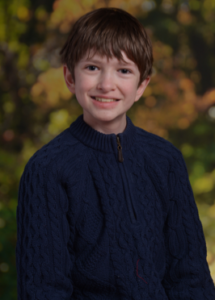 I’ll be running on behalf of my mentee, Luke. His ability to overcome challenges, suppress fears and seek new adventures is thoroughly impressive. He’s become a prism through which I evaluate my own life to make sure I’m making the most of it. Throughout the race I hope to be mindful of the battles Luke and all of the kids One Summit serves have fought and continue to fight. Volunteering as a mentor with One Summit has been a privilege, not a sacrifice. The children and the staff at One Summit are inspiring, enabling me to take strength away from every Climb for Courage that I do. After initially getting involved, I felt a responsibility to do whatever I could to help. The Boston Marathon is a great way to increase One Summit’s visibility, share their story, mission and accomplishments and raise much needed funds for the organization so that it can continue to play an important role in helping children learn how to overcome the unfathomable. Children such as Amin, who sadly lost his little sister, Salma, to cancer last year. While the heartbreak of losing his sister is surely with him, Amin and his family are extraordinarily strong and positive. Having such strong people behind me as I train makes it easy to face the adversity of a marathon. 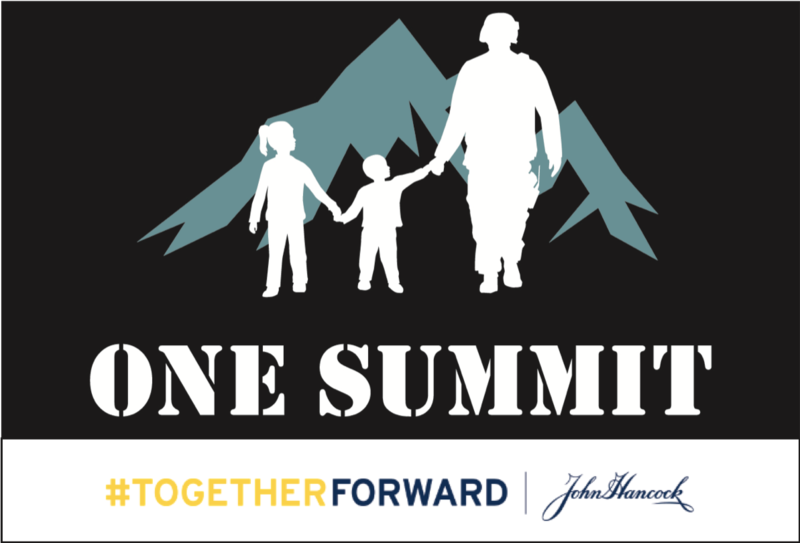 As my mother passed away from cancer in 2011, I connect deeply with the mission of One Summit. This led me to volunteer as a mentor at Climb for Courage, New York City in 2017. I believe we all have a part to play in a world in need of love. Running for those who cannot and trying to make their journey even just a little easier is an honor. 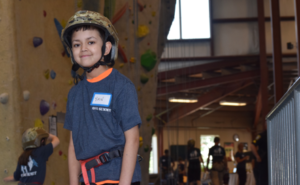 I will be running on behalf of 13-year-old Ronnie, who participated in One Summit’s first Climb for Courage program in Boston in 2014. Since then, he has been an active participant at One Summit’s community engagement events held in partnership with Harvard University’s Men’s Ice Hockey Team. 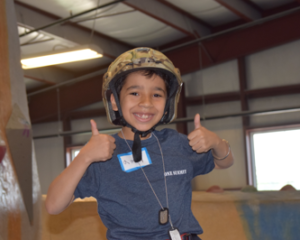 Help us reach our goal of providing more kids with the additional source of encouragement and strength they need in their fight against cancer!